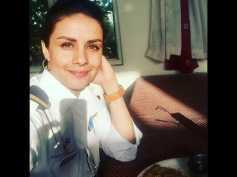 Gul Panag is a Bollywood actress, model, and former beauty queen who competed in the Miss Universe pageant. Twinkle Khanna Compares Trolls To Cockroaches, Spray Hit At Them & They're Out! Gul Panag & Shruti Seth To Curate 'Festivelle' For Urban Women In Mumbai!